Growing up in Greenwich Village, New York City, in the 1960s, Danny was surrounded by music. His mother was an accomplished jazz singer and his father was the manager of legendary jazz trumpeter Chet Baker before going on to open up "The Ninth Circle", a Village hot spot, where Danny worked as a boy. It was here that Danny met some of the most influential people in the music scene; Janis Joplin, Jimi Hendrix, Charlie Mingus, John Lennon & Yoko Ono, amongst others. His home was also a hotbed of musical inspiration, with The Mothers of Invention living down the hall, and Sid Bernstein (Manager of The Rascals) living upstairs, the rascals would regularly pop down to the Krivit household to practice their future hits on the piano. At school, a close friend and classmate was the son of Creed Taylor, the production genius behind many artists who recorded on the VERVE, C.T.I. & KUDA labels, and another close friend, legendary Nile Rogers, help Danny pick out his first guitar. By 1970, Danny was already a vinyl junkie & an amateur DJ, But DJ'ing as a profession wasn't fully realized until 1971, after another neighbor/friend of Danny's (Vice President of Polydor Records) introduced Danny to one of his all time favorite artists - none other than the legendary James Brown, who gave Danny white-label advance promo copies of his "Get on the Good foot" and "Think" by Lynn Collins. Around the same time, Danny started Djing & programming music for "The Ninth Circle" which by now had been transformed into a disco. Danny's father opened his second club called "Ones" In 1975; Danny was their sole DJ through 1977. Danny's sets were a big success and from this he started promoting and Djing at his own after-hours club down the street. At this stage, Danny was becoming part of the underground scene, club-hopped a lot, meeting some of the greatest DJ names of the time. These included Nicky Siano (of the Gallery), Walter Gibbons (of Galaxy 21), Tee Scott (of Better Days), David Rodriguez (of The Limelight), Richie Kaczar (Club Hollywood), and Bobby DJ (of Le Jardin) amongst others. Although all outstanding names, one DJ and club stood out amongst the rest: DJ David Mancuso and The Loft. The Loft (A musical center and Mecca for DJs) was a unique place and home of the original DJ "Record Pool". This is where Danny began his long time friendships with DJs Larry Levan and Francois Kevorkian (Francois K). In 1977 when Danny started Djing at "Trude Hellers", he also had become an avid roller skater, and with his girlfriend at the time (Daphne Rubin Vega) would regularly skate over to the Paradise Garage, where Larry would let them skate around the club while he would check out some of the new records that week on the sound system. The Garage remained Danny's main stomping ground until it closed in 1987. Danny's list of DJ residencies steadily grew throughout the 70s and in 1979, after Djing at the opening of the Roxy; he became their main resident DJ for the next 4 years. In the early 80s the Roxy was the home of some of the best Hip hop DJs of the day like "D.S.T", Grand master Flash, and Africa Bambaata. Since Danny was one of the few white boys who could scratch mix, he earned the nickname Danny Rock. Throughout the 80s & very often playing 6 & 7 nights a week, the list of clubs he played at exploded & included places like, Area, Dancateria, The Ice Palace, Laces, The Limelite, Red Zone, Save The Robots, Studio 54(Virgin Islands), Tracks, The Tunnel, The World, and many, many others. Even a guest spot at the legendary Paradise Garage. Since the late 70s trade magazines such as Billboard (which he still reports to weekly), Cash Box, Record World, & Dance Music Report amongst others, have listed Danny's play lists and Danny's mix tapes have been getting airplay on radio station WBLS, WKTU, & KISS FM. The 80s' saw the beginning of Danny's studio work. He worked on tracks featuring legends such as, James Brown - "Soul Power", "Give it up and Turn it loose", "Funky Drummer" (reputed to be the most sampled song in history! ), Ecstasy, Passion & Pain - "Touch and Go", Brenda and the Tabulations - "Let's Go All the Way", Gloria Gaynor - "Casanova Brown", and what is probably THE most quintessential version of MFSB's classic - "Love Is The Message". Moving into the 90s, Danny commanded legendary status amongst young and old as well as continuing to forge new paths in dance music into the millennium. 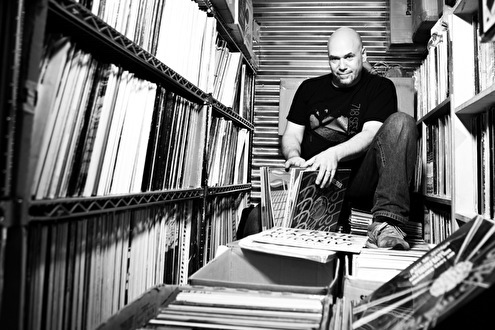 He inherited the Ninth Circle from his father and continued to DJ at NY clubs such as Mars, Tracks, The Choice, Palladium, Shelter, Sound Factory Bar, Twilo, The Warehouse, & The Loft. At it's inception in 1996, Danny joined Francois K and Joe Claussell to form the Body and Soul team, at club Vinyl in NYC and regularly played every Sunday for it's entire run, while also regularly Djing in various clubs in New York & Japan & everywhere in-between, Body & Soul has also been enjoying some special events in Amsterdam, Baltimore, Brazil, Canada, France, LA, London, Miami, Portugal, Italy, San Francisco, Singapore, & sensational annual events in Japan. Starting his professional DJ carer in 1971 Danny is currently celebrating 45 YEARS as a NYC DJ & has enjoyed many highlights, just to name a few: Like the summer of 2003 at Museum Of Modern Art's PS1 in NY, playing for an incredible 5,000 of his 718 Sessions fans, & there again to 7,000 fans in July 2006 for Body & Soul's 10th anniversary. & In 1999, for a 15,000 strong crowd for the first of three annual Body and Soul "Summer Stage" events in NYC's Central Park. & when he played in Tokyo New Year's Eve 2001 for an attendance of 21,000 people, & December 2005 @ club Ageha, also playing for an incredible 7,000 of his own fans. & Starting in 2002, Body & Soul's annual events in Japan have also been consistently phenomenal highlights, especially in 5/08 performing along side his now wife, Japan pop icon, AK! Danny's talents and reputation have grown immensely and continues to do so, with demand for his DJing & editing work reaching new heights & exploding worldwide from North & South America to Europe & Japan, with his Producer/Editor/Mixer credits included on well over 300 records. Earning a status of "King Of The Re-edit" since the early 80's, he's been a major force in bringing attention & world acceptance to the art of editing, even spawning an onslaught of imitators. Also since the early 80's, Danny has also been a VJ, with a collection of well over 5000 rare soul performances on video from the 60s, 70s, 80's, & 90's. His vinyl record collection is now well over 80,000. He has also contributed to many historical films & literature such as: "Maestro", "Love Saves The Day", "Last Night A DJ Saved My Life", & Mel Cheren's "My Life & The Paradise Garage", "Downtown Calling", "All Hopped Up and Ready To Go", "The Disco Files" include Danny Krivit as a legendary key player in the history of NY night life & Most definitely one of the very few people who can honestly say he's consistently DJ'd in all the hottest clubs in NY for the past 45 years!